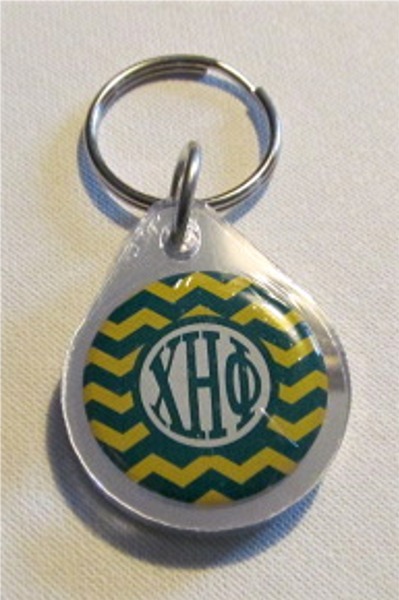 Chevron print dances all over the front of this keychain. The back is all mirror! Functional and usable!